Ever heard of Mermaid Toast? It consists of regular toasted bread with a unique spread made by mixing blue green algae powder and almond-milk cream cheese. This ocean-inspired creation was trending on Instagram for the longest time, posted mostly by all the health freaks on the internet. Let’s take a look at what they’re so excited about. This power-packed nutrient is not really an Algae but a type of plant-like bacteria that generally grows in saltwater but can be found in freshwater as well. 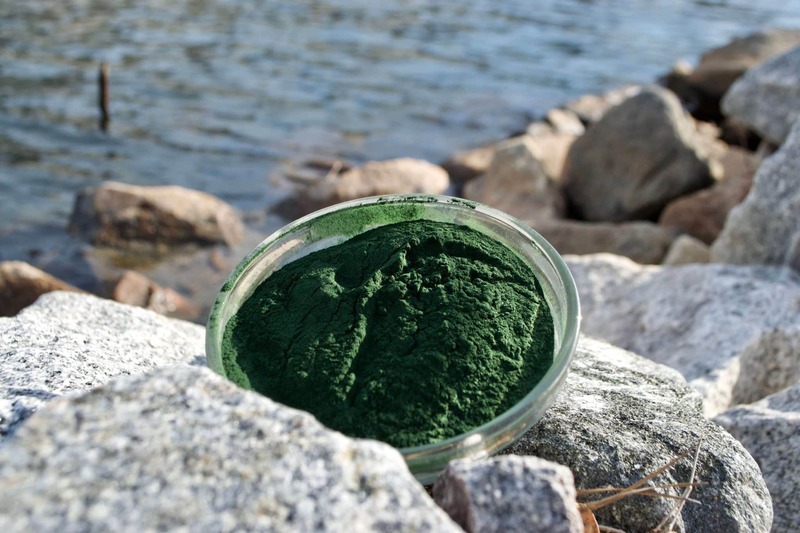 One of the most popular types of blue-green algae is spirulina. According to the U.S. National Library of Medicine, blue-green algae has been used for centuries and dates back to the Aztec times. The reason that only a few people are aware of the benefits blue-green algae provides is that the medical industry would lose out on a lot of revenue if people started consuming this superfood on a regular basis. 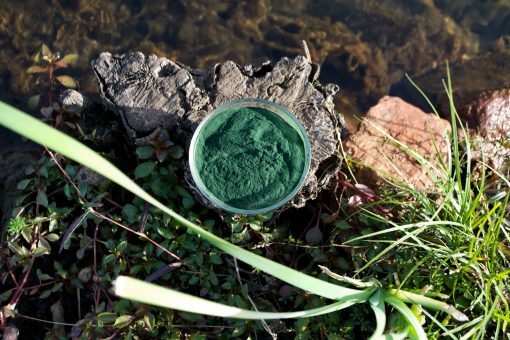 Blue-green algae is made up primarily of amino acids, making it a rich source of protein. You may argue that animals and animal products are also rich in protein, which is not true, and animal protein also contains large quantities of saturated fats and cholesterol that are harmful to the human body. By consuming blue-green algae, you can get your daily requirement of protein while avoiding all the toxins that usually accompany meat and other animal products. Blue-green algae stimulate the production of stem cells that originate in the bone marrow. These stem cells travel throughout the body to replace damaged cells and restore regular tissue function. This helps to significantly slow the aging process and keeps your body youthful, healthy, and full of energy. Blue-green algae is also rich in antioxidants that help to fight free radicals in the body. Free radicals are compounds in the body that damage cells and as a result speed up the aging process. The antioxidants found in blue-green algae help to neutralize free radicals, hence freezing the aging process. The nutrients in this plant stimulate proper immune function thanks to a specific polysaccharide contained in it. This polysaccharide is a potent activator of human white blood cells, namely macrophages and monocytes, that help to fight diseases. Spirulina also contains powerful anti-inflammatory properties that help the body cool down, making it easier to deal with infections and diseases. Additionally, this aids in immune cell circulation and function. Blue-green algae contain a rare nutrient known as phenylethylamine (PEA) which is a natural antidepressant and mood elevator. This compound is known for being able to create a feeling of euphoria and joy in individuals. It also boosts concentration and helps improve an individual’s attention span. As mentioned earlier, blue-green algae stimulate the production of stem cells that help to heal damaged cells in the body, making it less likely for your body to suffer from diseases like cancer. But that’s not the only way in which blue-green algae fights cancer. This plant is rich in a green pigment called chlorophyll, which is known to bind with carcinogens in the body, helping it to eliminate these toxins effortlessly. Additionally, spirulina boosts melatonin production in the body. Melatonin is the sleep hormone and an increased production of melatonin results in a deeper and more restful sleep. This increased production of melatonin literally puts the cells in a state of deep sleep that suppresses or inhibits the growth of cancer cells. And finally, blue-green algae benefits the body by cleansing it of harmful heavy metals. Due to our lifestyles, environmental stresses, pesticides in food, and the use of certain commercialized products, our bodies accumulate heavy metals in excess today. Accumulation of metals like lead, cadmium, arsenic, and mercury are directly linked to cancer. Blue-green algae binds to the traces of heavy metals in our body and helps to flush them out of our system. Omega-3 fatty acids are a rare nutrient that’s difficult to obtain from most food sources. Your body naturally produces this nutrient, but only in small quantities; the rest needs to be taken orally. Blue-green Algae is a rich source of omega-3, a nutrient that helps to elevate mood and fights anxiety. In addition to this, omega-3 promotes hair growth, improves brain function, fights mental diseases like Alzheimer’s and schizophrenia, and even helps alleviate menstrual pain. Seeing how important this nutrient is, it’s shocking that most of us take no extra effort to include it in our diets. However, with blue-green algae, you can get a rich supply of omega-3 fatty acids. Blue green algae contains a unique inhibitory property that helps delay the absorption of sugars in the body. This allows the body to regulate blood glucose levels. Fluctuations in sugar levels can cause violent shifts in energy, mood swings, and depression, and even damage the immune system. With regular consumption of spirulina, you can avoid these fluctuations and enjoy a healthier lifestyle. Blue-green algae have more than 64 known vitamins and minerals that are extremely beneficial to the body. These include vitamins A, C, E, B12, and B6 to name a few. Blue-green algae is the best way to supplement your body with essential nutrients especially considering how poor the nutritional value of today’s regular diet is. 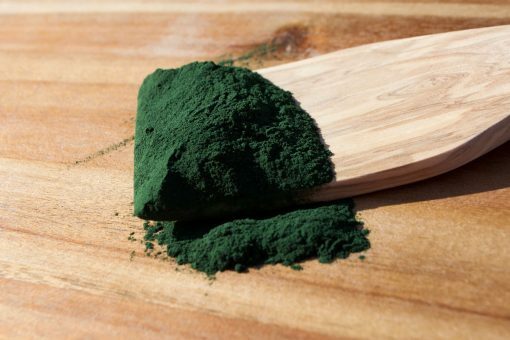 Spirulina contains 11% of the average required daily intake of iron. Those suffering from anemia can benefit from this super plant as iron helps to elevate energy levels in the body. Anemia is characterized by prolonged fatigue and weakness in the body, and this is often caused due to one primary reason – a reduction of the haemoglobin content in red blood cells. Spirulina supplements help to increase the haemoglobin content of the red blood cells, allowing the blood to carry higher quantities of oxygen to various parts of the body. This, in turn, keeps your body and mind awake and helps to keep you energized throughout the day. Aside from excess cholesterol, changes in blood pressure are a major cause of heart disease, kidney failure, and strokes, making it one of mankind’s worst enemies. 4.5 gm of spirulina a day can significantly lower blood pressure levels and allow individuals to lead healthier happier lives. This reduction in blood pressure is due to the fact that blue-green algae stimulates the release of nitric oxide in the body which causes blood vessels to dilate and relax. For physically active people, Blue-Green Algae is a blessing. Muscle fatigue is caused due to increased oxidative damage during exercise, and the antioxidant properties of blue green algae help to minimize this damage. In addition to this, spirulina also possesses anti-inflammatory properties, allowing your muscles to perform longer during a workout instead of tiring out quickly. Finally, being a rich source of protein, blue green algae helps athletes rebuild muscle tissue quickly after a workout. This ensures muscle growth in both size and strength, along with a tremendous increase in muscle endurance. Get Some Blue-Green Algae Today! As you can see, blue green algae offers a range of benefits that cannot be found in any other single nutrient on the planet. This superfood can single-handedly solve many of the regular lifestyle issues caused due to an imbalance in our regular diet. So get yourself some blue green algae today and say hello to healthier, younger, and happier you.